Garlands of Queen Anne’s Lace – a Rainbow of Colours! Yesterday I unpacked an incredible box! It was a Box of Lace – the Trunk Show for Queen Anne’s Lace. 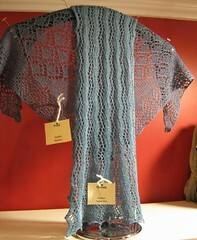 Anne Corcoran is a Canadian Lace Designer. She has only been designing for about 3 years and look at what she has created! Mad About Ewe will be hosting her trunk show for the next couple of weeks – come in and be inspired by her designs! 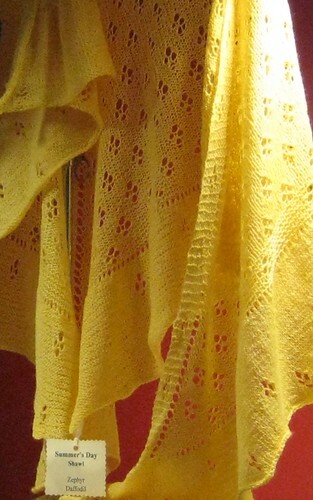 We have all the patterns and the yarns to recreate anything you see.